It’s Memorial Day. People in America have spent the past 3 days doing what we do on 3-day weekends…finding a body of water, a bottle of sunscreen and soaking in the first flirty days of summer. But that’s just the surface. That doesn’t tell the stories we carry in our hearts and our minds this weekend. Fortunately Facebook, Insta and the rest of the social media sphere interrupts their regularly scheduled programming of warring opinions, photo-ready food, puppies and babies to remind us about the REAL meaning of Memorial Day. And for good reason. Today is a day we give thanks to those who paid the ultimate price so we can do what we do, be who we are, and live as Americans. This year, I think Memorial Day is hitting all of us at Garman a little deeper. Because this year we’re building the 16th Hero Home for Operation Coming Home. And it’s the first home being built to honor a fallen soldier, SGT. Justin B. Onwordi. When we got the call asking if we’d be interested in building for Operation Coming Home we were already committed to building two Habitat Blitz Homes this year. We had planned our work for 2017 and we were working our plan. And Operation Coming Home wasn’t part of that plan. It didn’t feel like the right time to add one more thing to our plates. And yet, the idea wouldn’t leave my brain. Wouldn’t leave my heart. And when I talked to Allison & Jim, they agreed. We got the call. And wasn’t the call enough? We realized it didn’t have to feel like the right time to know it absolutely was. We didn’t just say yes, we actually couldn’t say no. I remembered asking Jim if he thought we could ever get to build for a woman. I was half wondering and half wishing. I was anxious to connect with the person we’d be building for…I wanted to meet this person, know this person and find a way to make them feel our gratitude. 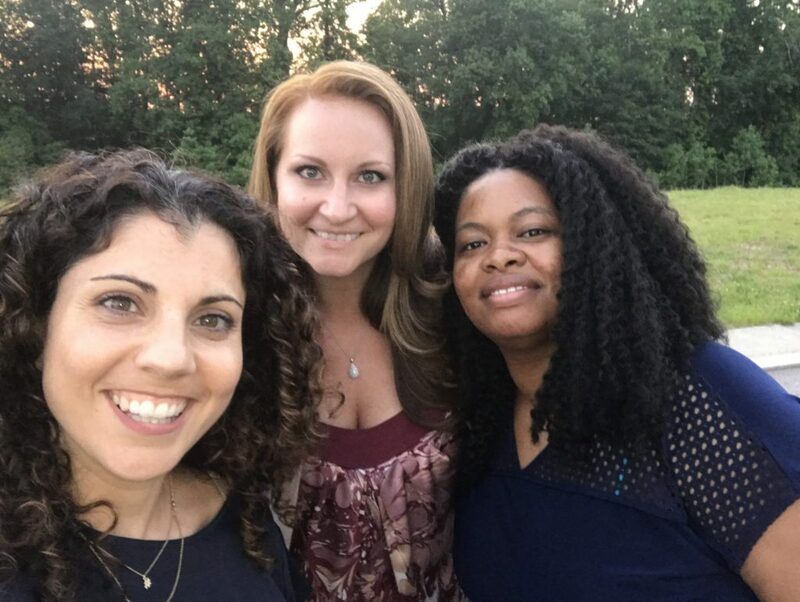 A few weeks after our emphatic yes, I was home with my girls on a Friday night, getting ready to settle into single-mom mode…when Andy Ladner from Operation Coming Home and US Veterans Corps called to run something past me. He said he had a recipient in mind for us but the situation was a little different. The soldier who would receive the home was a surviving widow of a fallen soldier. She served as well. He told me she was a single mom of three boys and then he asked if we would build her a home. And then we met Ebony. And her boys. And her mom. And we all knew we were exactly where we were supposed to be, building a home for the person who was just right for us. At this point we only know a little bit about Justin. 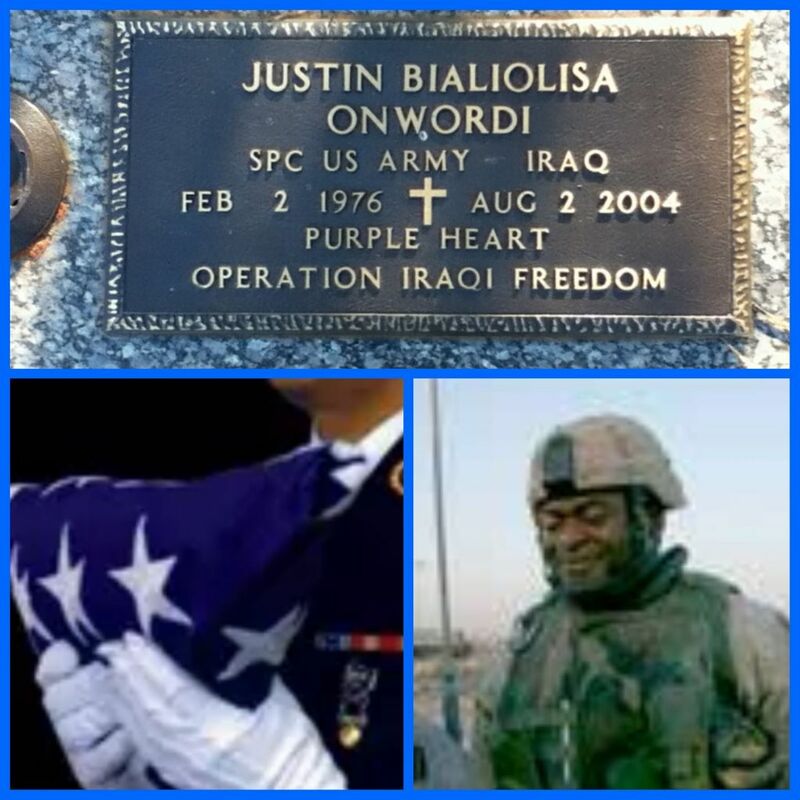 We know he was a Nigerian Immigrant when he enlisted in the US Army. We know he’s been described as a gentle giant who was always smiling. And we know he and Ebony loved each other very much. I’ve been thinking a lot about Justin this weekend. I’ve been thinking about Ebony too. I’ve been thinking about what it means to be brave. Certainly enlisting in the Army is brave. Deploying is brave. Being a combat medic like Justin & Ebony is brave. And raising a son on your own with a broken heart is unimaginably brave. Which inspired a Memorial Day resolution for all of us…bravery comes in all shapes, size and increments. And perhaps the best way to honor the brave is by finding ways to be brave, every single day. Sometimes being brave is walking into a room full of people you don’t know and wearing the biggest smile you can. Sometimes being brave is finding a way to connect with someone who is wildly different from yourself. Sometimes being brave is just deciding to be exactly who you want to be. We can’t all serve. We won’t all serve. But we all have the capacity to be brave. So go do it. Go be brave. And think of Justin. And Ebony. And others like them. And smile because this is the land of the free and the home of the brave. Working with Garman Homes has been a wonderful experience. Their staff is beyond measure in professionalism with their approach to the home buying experience. I really appreciate all of you with high regards to Janice and Krista!! You are an amazing group! Thank you Thank you!! !